Learning "your" language - where does your passion lie? Credit Anne O'Duffy. Used with permission. Just this morning, we heard a story on MN 90 about Archbishop John Ireland, and how he helped the Irish prosper in America - specifically Minnesota. If that story resonated with your Irish heritage, you might want to check out Gaeltacht Duluth. Gaeltacht is an Irish-language word for any primarily Irish-speaking region, and once a week, a local pub becomes just that. Challenge yourself by translating this site into Gaeilge! 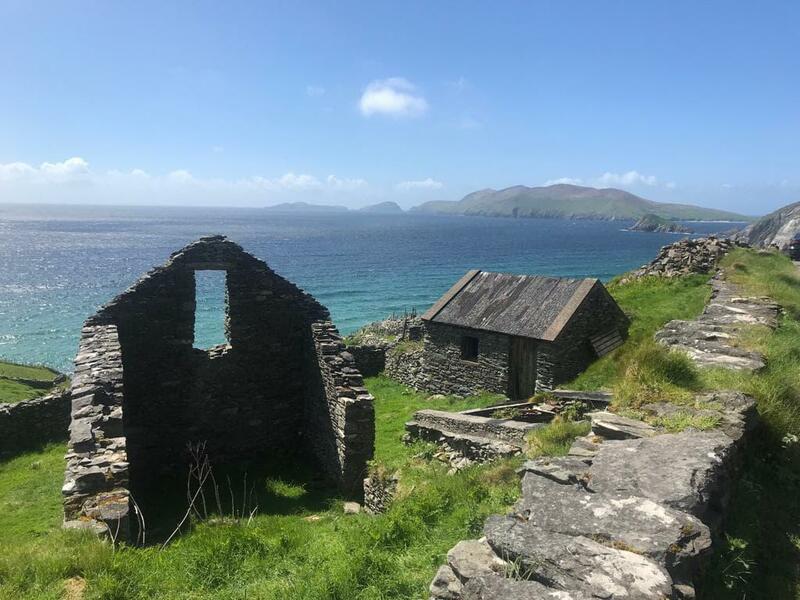 Information about the history of the Irish language is here, and this link talks about the language revival movement in Ireland, since 2018 marks it's 125th anniversary. Irish Duluth's study group Facebook page is here, and you can contact John McLoughlin directly at IrishDuluth@gmail.com. Journey to Wellness in Indian Country: "No one is born into the language anymore"
Giishpin bi-izhaayan kiwenz ojibwemowin gabeshiwining gidaa-gashkitoon ji-agindaman o’o ikidowinan. When you hear stories about house fires and other emergencies these days, there's usually a mention of the family pets that got out safely, too -- or didn't. It hasn't always been that way. Not that long ago, first responders were concerned strictly with the human lives. The folks who work at NRRI are like the ultimate post-Thanksgiving chefs. They're always looking for innovative ways to use leftovers. Take potholes, for instance. If you want a patch to last, why not make it of iron? Or the next best thing - taconite tailings. Duluth has more than its share of challenges when it comes to affordable housing.